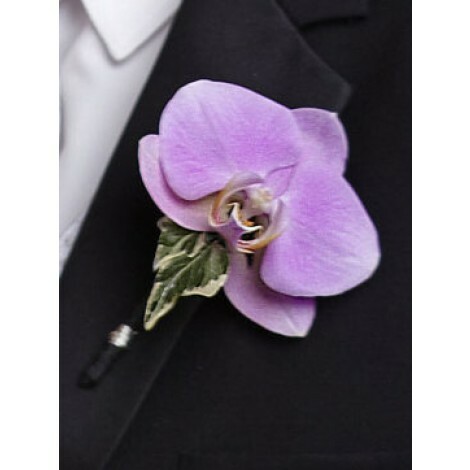 A stylish and sophisticated, rather distinctive boutonniere. 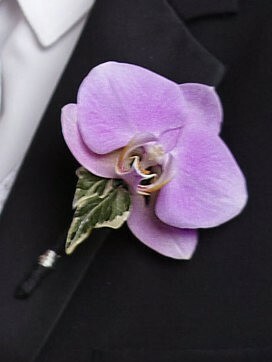 Featuring; a single lavender phalaenopsis bloom is combined and accented with the elegance and vibrancy of variegated ivy. Approximate dimensions; 4"H x 3"W.